We all know that saving energy is great for the planet, but did you know it’s also great for saving money on your monthly utility bill? With energy-saving tips, free in-home audits and rebates from Beaches Energy, we can help you turn your energy conservation into energy savings. Maintain your heating/cooling equipment—learn how to maximize efficiency. Set your thermostat above 78 degrees during summer. Set your thermostat below 68 degrees during winter. Replace central heating/cooling systems with heat pumps. Replace incandescent bulbs with compact LED bulbs. Use one large bulb instead of several small bulbs. Concentrate lighting in areas where light is needed for safety. Check refrigerator and freezer door seals. Remove dust from refrigerator coils. Place refrigerator and freezer away from the stove. Increasing energy efficiency is good for everyone. Making our homes as energy efficient as possible helps you save money & conserve energy. 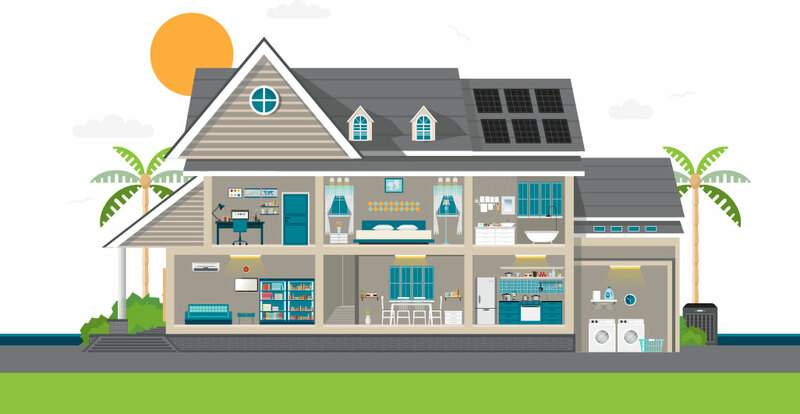 Beaches Energy Services offers a free home energy audit to all residential customers. Let our conservation specialist check your home’s insulation, water heating, HVAC system and overall home efficiency. Upon completion you will be provided customized recommendations and cost-effective energy-saving measures for your home & lifestyle. If you don't have time for an in-home audit, you can perform a do-it-yourself analysis and get valuable information to start saving money and energy today.